Alliant Healthcare Products is a company on the rise, literally. Six weeks ago, Alliant relocated its headquarters in downtown Grand Rapids from the second story of an office building on the 300 block of Ionia Ave to the 11th floor of Bridgewater Place at 333 Bridge Street NW. 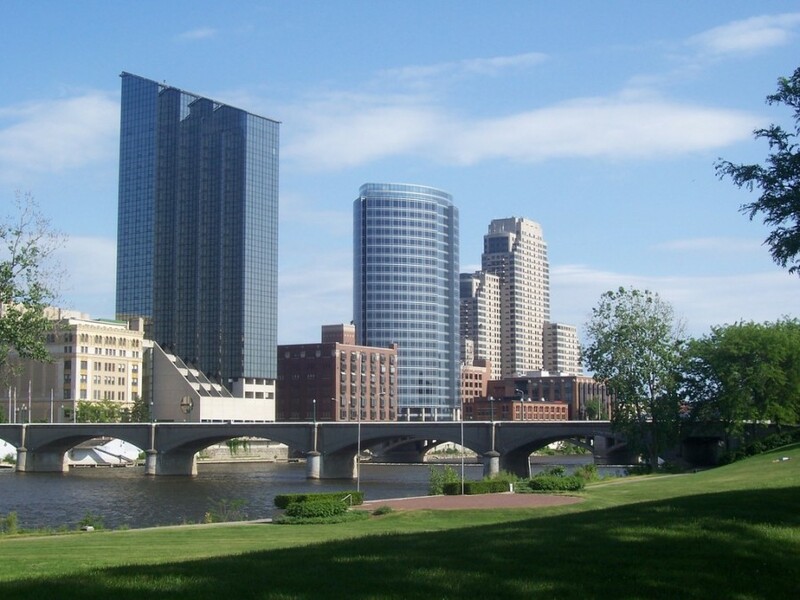 In the move, the company added 50 percent additional office space with $90,000 of renovations opening the office to views of the North and East sides of Grand Rapids overlooking the Grand River. Over the last five years, Alliant Healthcare Products has sold over $275,000,000 of cutting edge medical capital equipment and surgical devices into almost every hospital of the Veteran’s Administration and the Department of Defense throughout the world. The company is a verified Service-Disabled Veteran-Owned Small Business that helps other companies navigate the complex acquisition environment of the federal government. Alliant Healthcare Products is a verified Service-Disabled Veteran-Owned Small Business with expertise in helping companies grow their business in the federal market while providing veterans access to the best healthcare technology available. Alliant also manufactures cardiovascular products for open heart surgery under the brand name of Surge Cardiovascular. Surge Cardiovascular products are sold globally with annual growth of 56% since 2010.